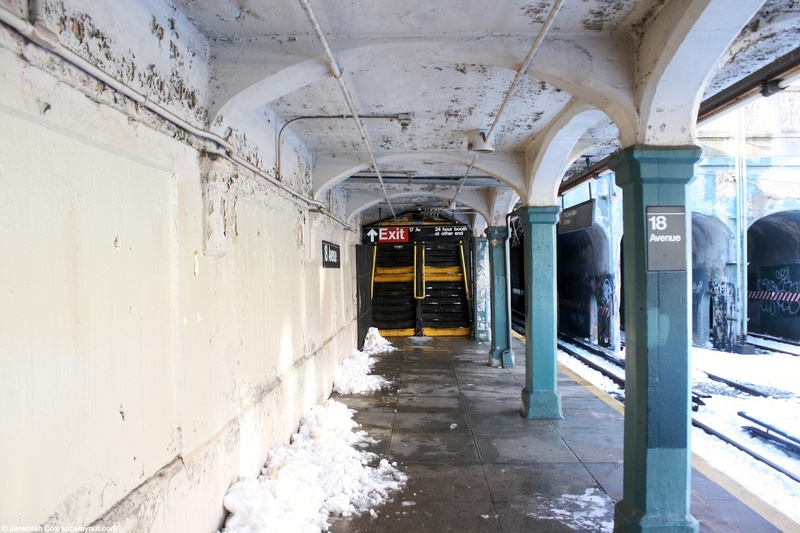 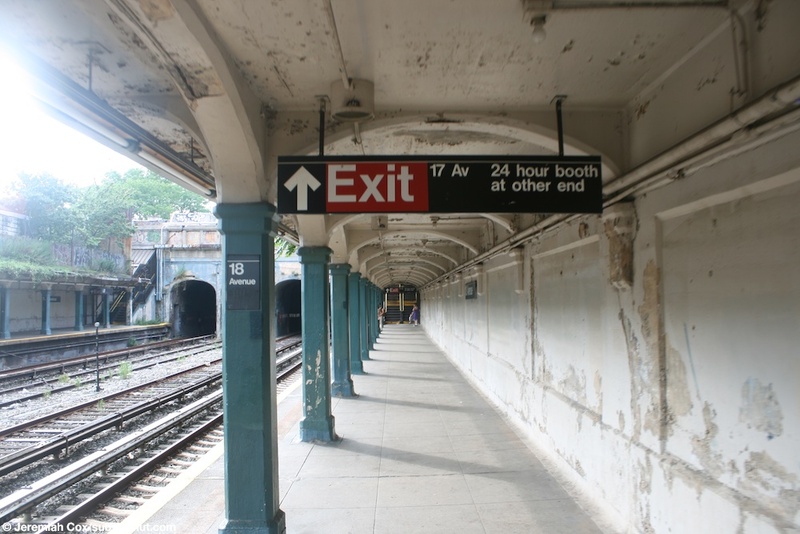 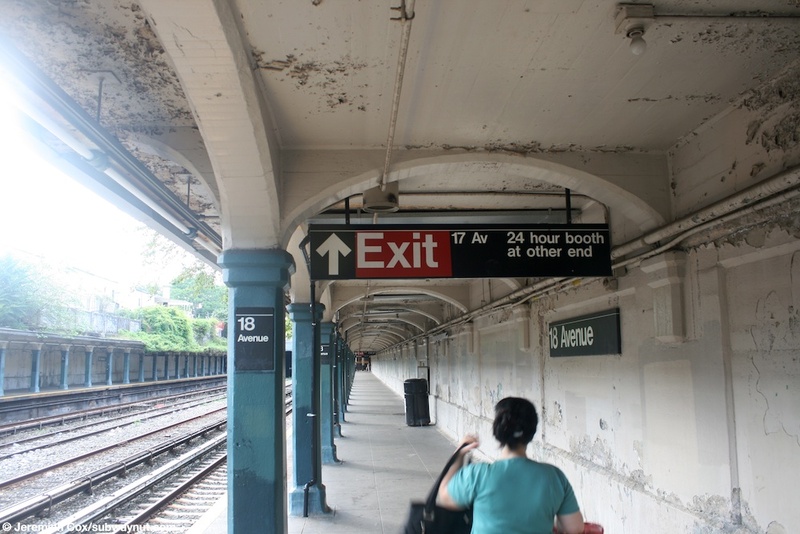 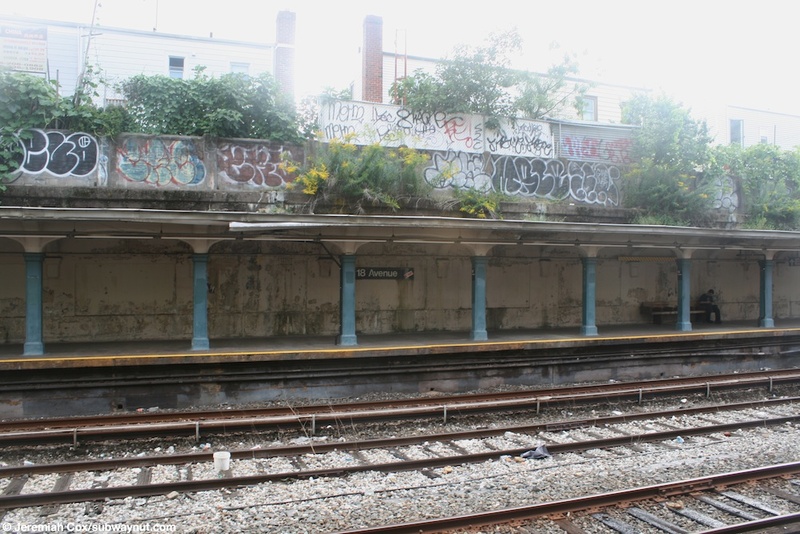 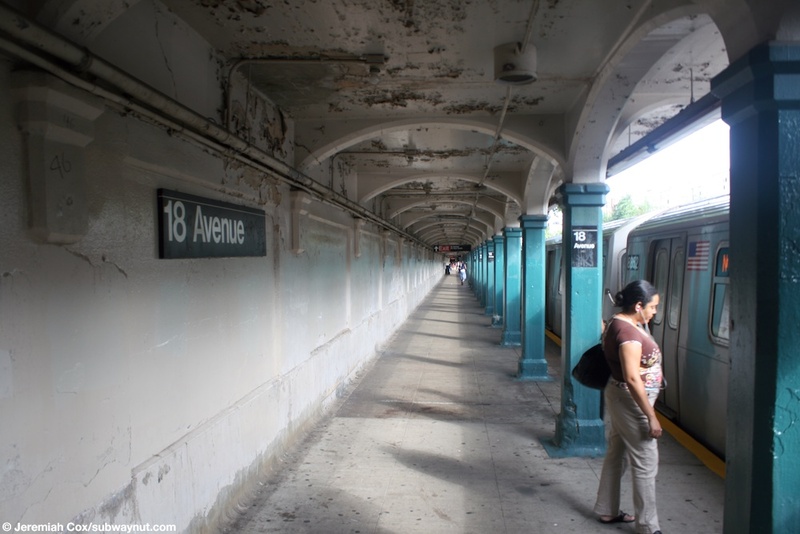 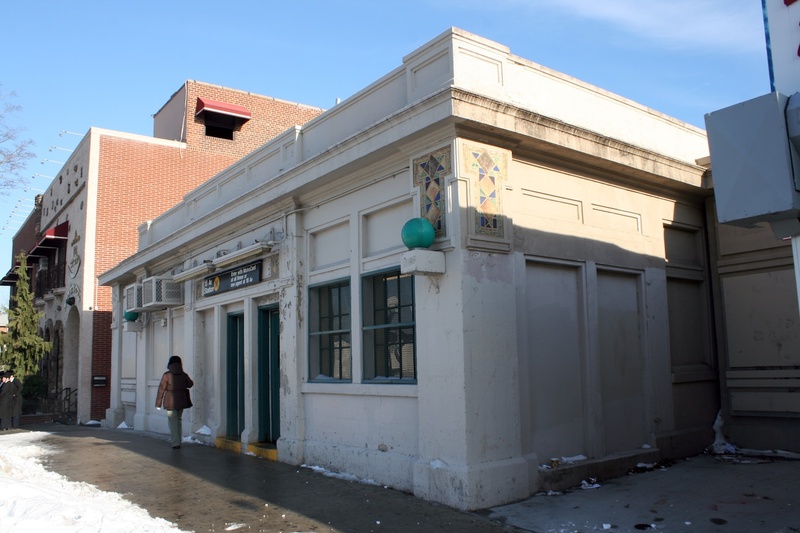 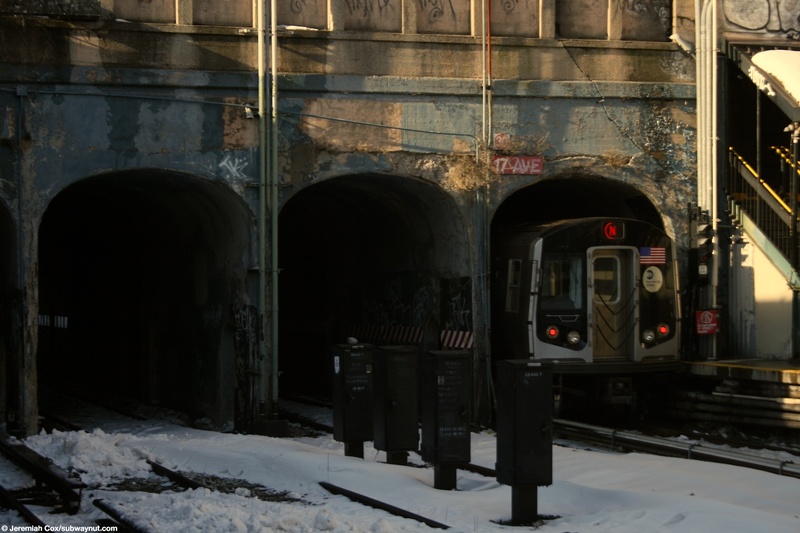 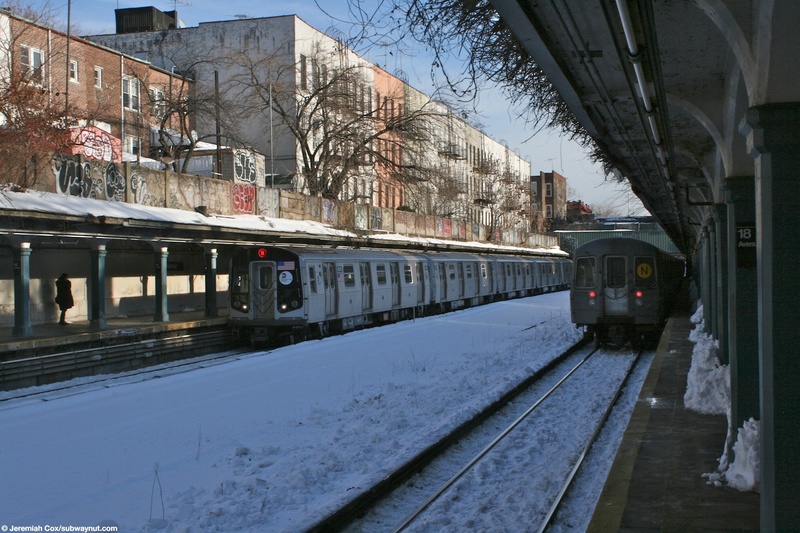 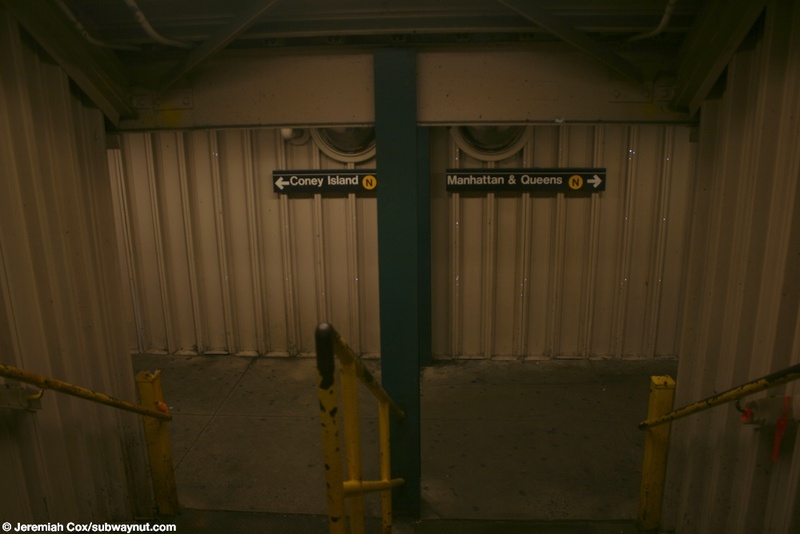 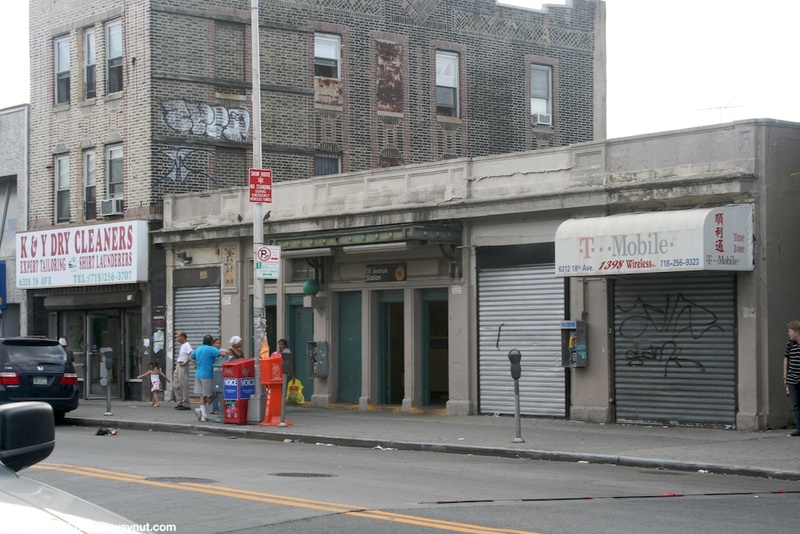 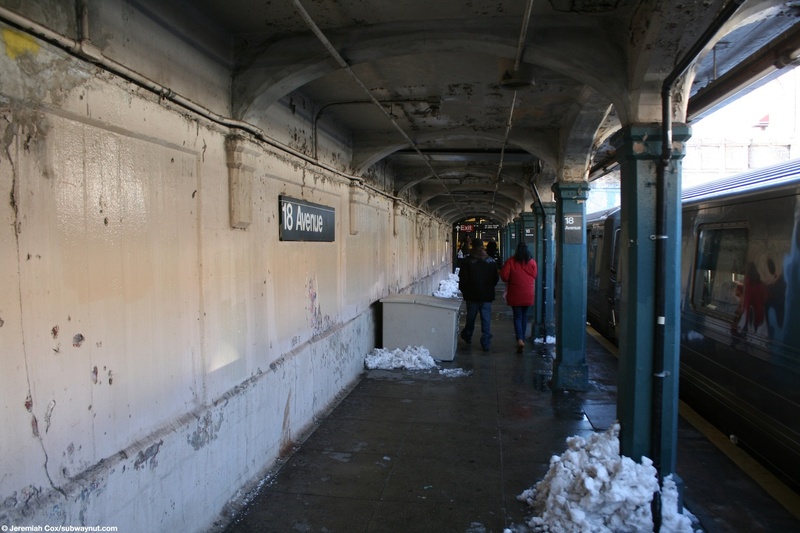 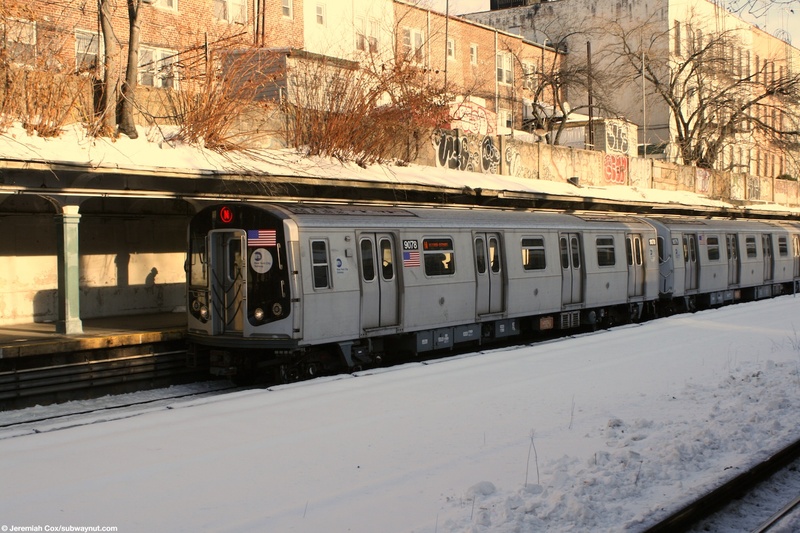 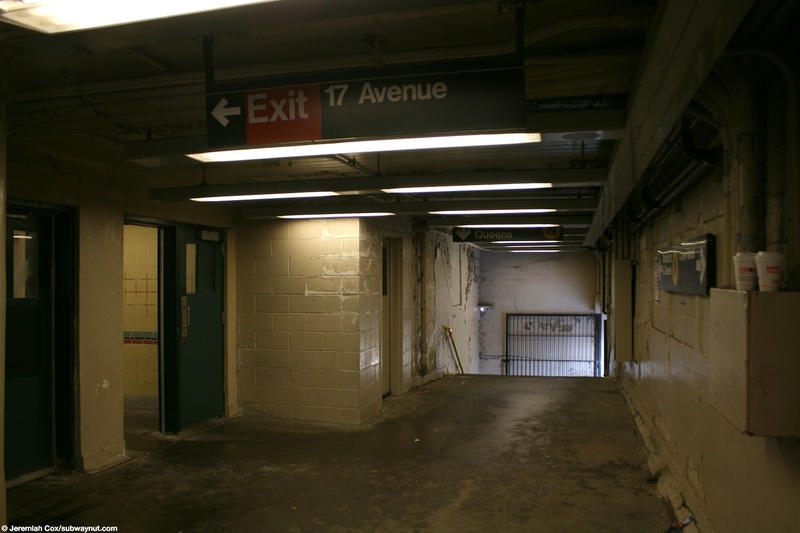 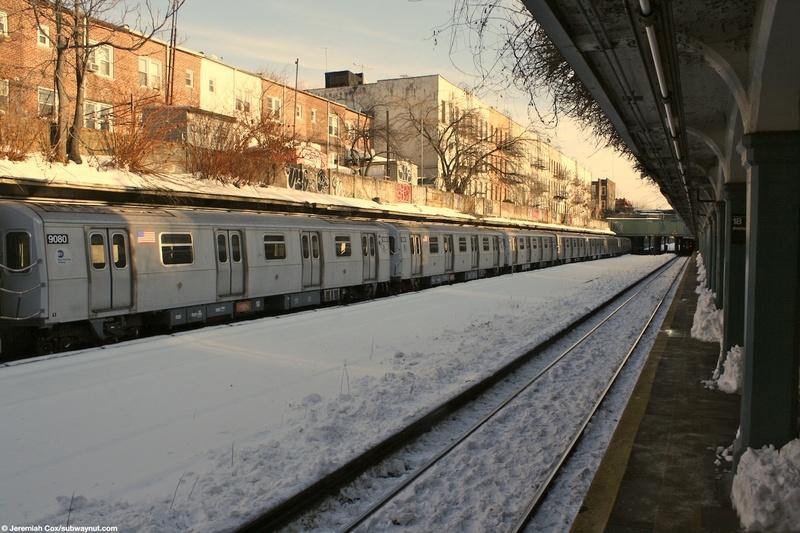 18 Avenue has the standard design of a two entrances, one at either end with two concrete dilapidated side platforms, canopied and tucked beneath the buildings of Mapleton, in the open cut of the Sea Beach Line. 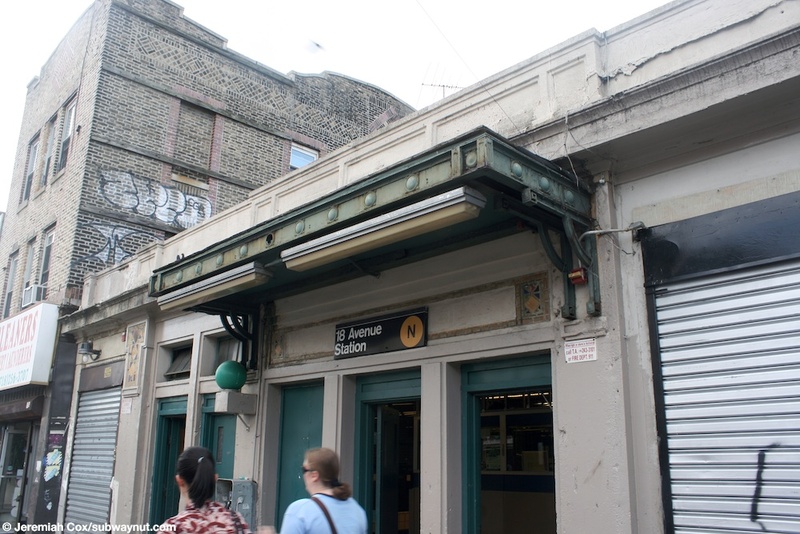 The entrance to 18 Avenue is at the east end of the station and contains the full time token both and turnstiles, in the standard concrete station house above the tracks, it leads out to the east side of its respective street. 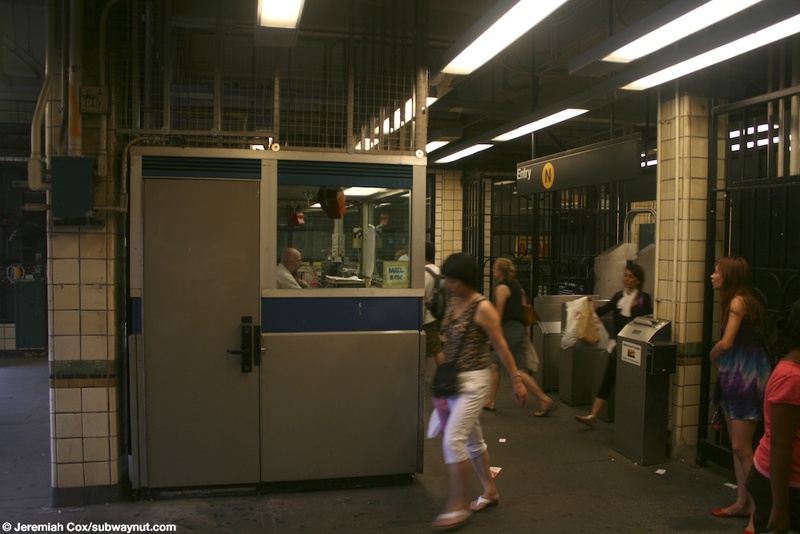 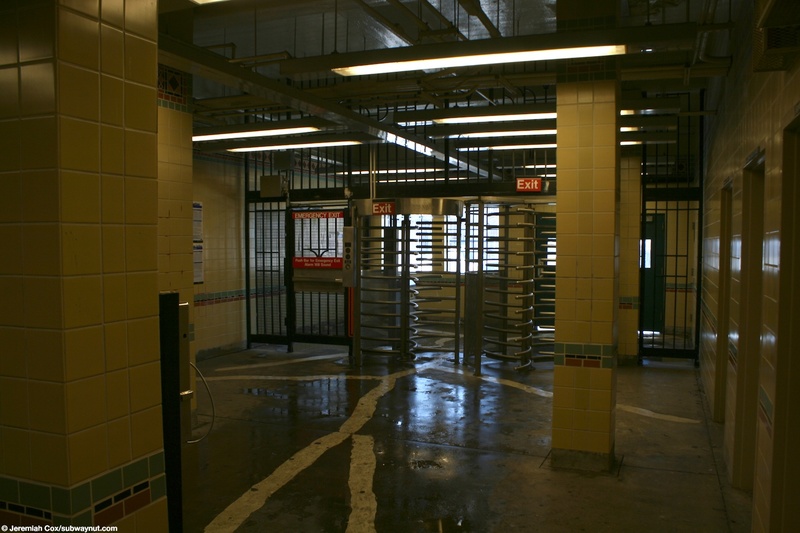 The other, eastern entrance contains only high turnstile equipment in its own station house and leads out to the west side of 17 Avenue. 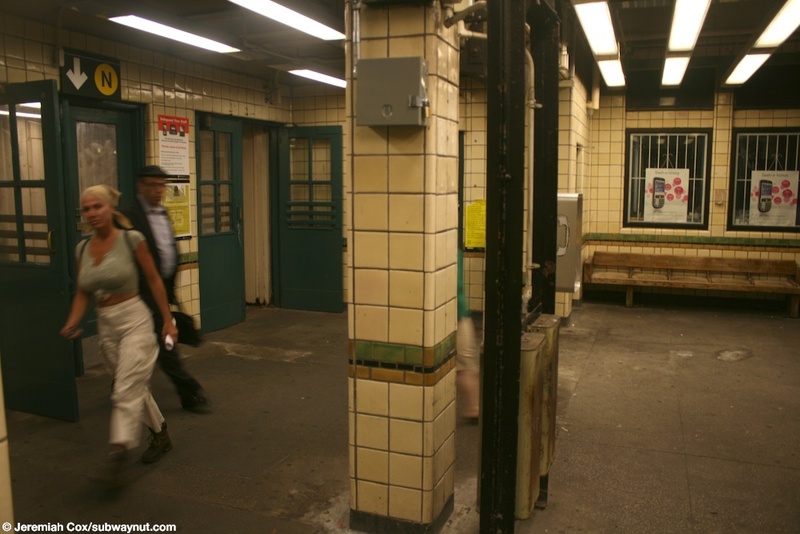 The interior of this station house was completely gutted and rebuilt with most of it now non-public rooms, the walls are unusually tiled and a yellow-cream color with a low turquoise and red lower line, and trim line. 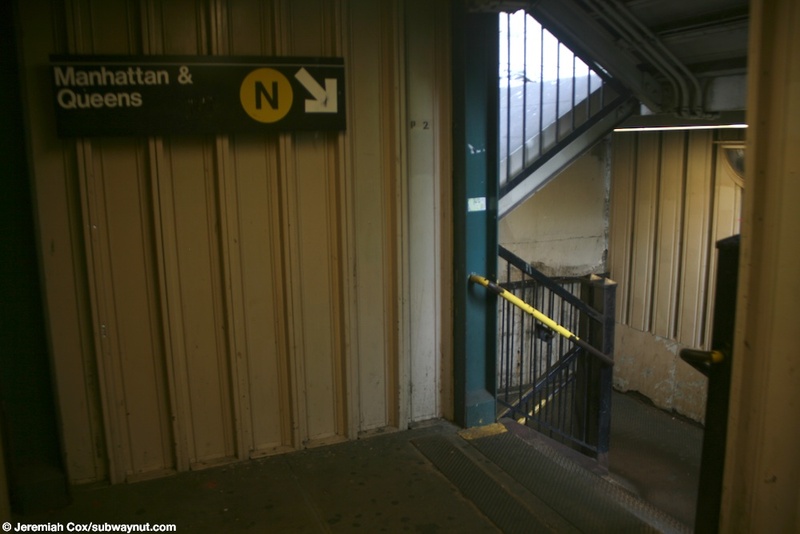 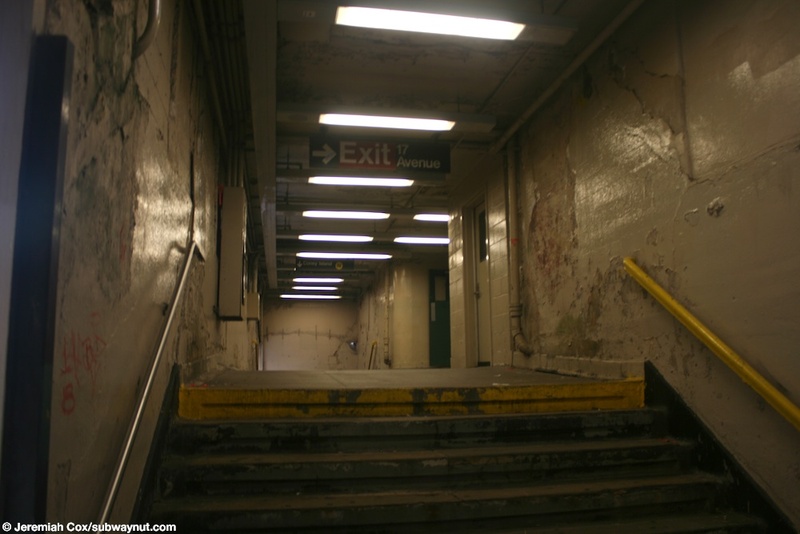 Each station entrance has only one staircase down to each platform that leads to an enclosed overpass and the entrance to the station house that is over the middle unused tracks.